PoPville » Groundhogs around Town – A Whole Family in Navy Yard!! 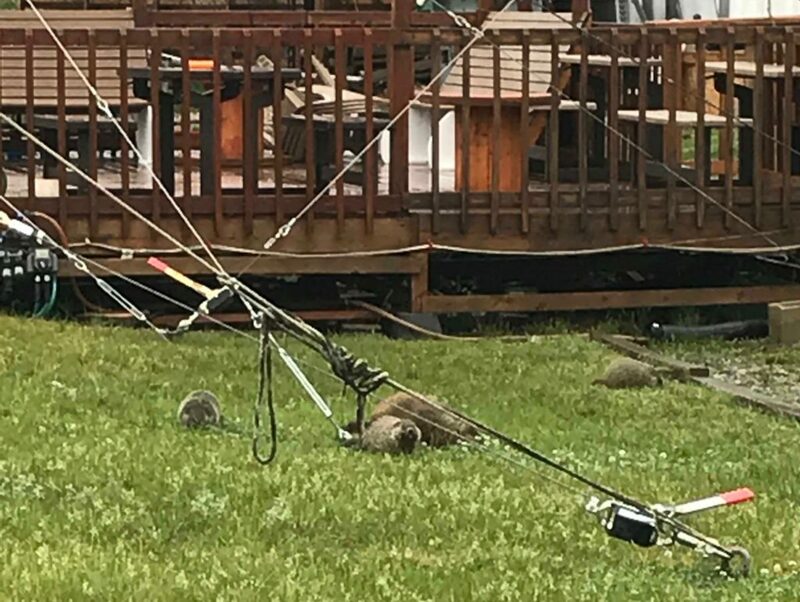 Groundhogs around Town – A Whole Family in Navy Yard!! “Update on recent groundhog spotting in Navy Yard. It is a family of groundhogs who have taken up residence at the Trapeze School. We regularly see at least one out snacking but this is the first time I’ve seen a parent with three babies!